Those lovable best friends Pickle and Bree are back and they’re tackling a whole new range of social and behavioural issues in Alison Reynolds' delightful new picture books. 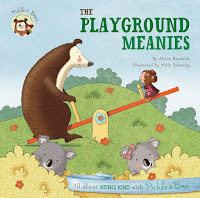 In The Playground Meanies, Pickle and Bree are at the playground with their friend, Jason, when they meet two little bears with a taste for teasing. The bears start making fun of Pickle and Jason, and their rather large feet, eventually reducing Jason to tears. This makes the loyal bear Pickle mad. He wants revenge. But it is his usually fiesty friend Bree who stops him, with some wise advice that becoming one of the 'meanies' won’t make him feel any better. And, this time, the irrepressible little girl is right. She even comes up with a great idea for Jason to help the little bears out of trouble, eventually showing them the error of their ways. But little girls can’t always be wise as we discover in The Big Snow Adventure. 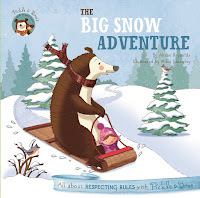 Excited about their holiday at the snow, both Bree and Pickle are having so much fun they forget to respect the rules and end up ruining the fun for their friends. Of course, Pickle and Bree’s good hearts shine through in the end and they find a way to apologise and ensure everyone has fun together. 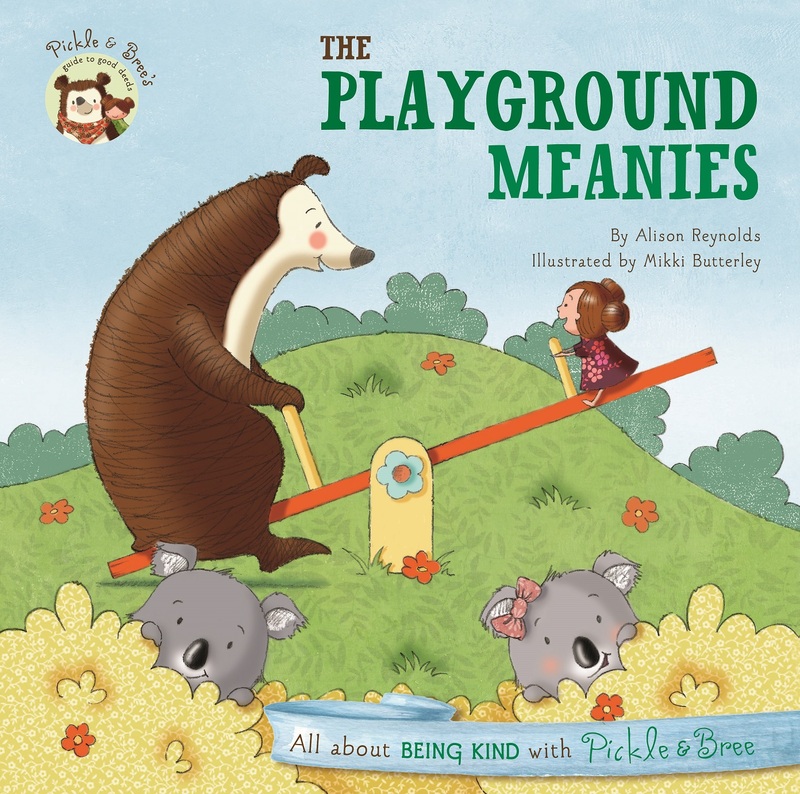 Mikki Butterley’s soft palette and endearing characters tug at the heartstrings in these books, while Alison’s rich and gentle text sends a strong but subtle message. These are situations that all kids will relate to and the stories aim to steer them towards positive choices and kind behaviour. Alison even provides a special guide to good deeds at the end of each book, opening the themes up to broader discussion.